Over the years, the Shiba Inu has been rising in popularity and is the currently AKC’s 46th most popular dog. 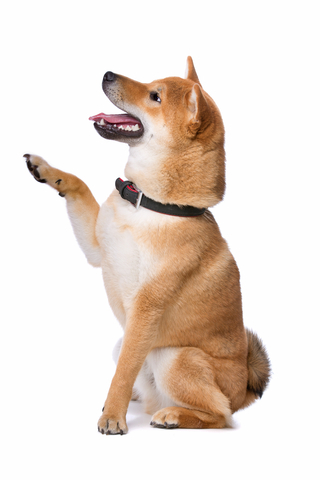 That rise has happened relatively quickly as the Shiba Inu has only been in the United States since 1954. They were recognized by the AKC in 1992 and added to the non-sporting group in 1993. Undoubtedly, it is not difficult to see why their popularity is rising. The fact that the Internet has been flooded with silly “Doge” memes, as well as irresistibly cute Shiba Inu puppy cams demonstrates how good looks can create quite a buzz. Dog That Looks Like a Fox..
Shiba Inus possess so many of the qualities that new potential dog owners seek. They are simply beautiful dogs - not too big, and not to small - with that added “uniqueness” quality going for them. They are so teddy bearish looking as pups, that then grow to foxy, wolf-like dogs as adults - what’s not to love? Well, with growing Shiba Inu rescue shelters across the country - more than we think. While the Shiba Inu has so many wonderful qualities, this breed has an equal amount of qualities that many people discover they are incompatible with. 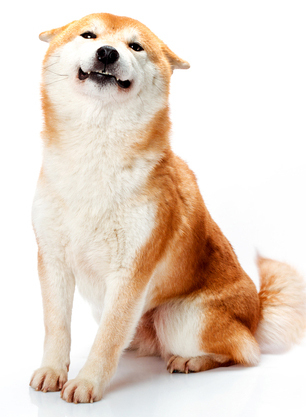 The old adage of "looks can be deceiving," particularly applies to the Shiba Inu breed. There are tons of images and video's of cuuuuute Shiba Inu faces, smiley and all. This would lead many to believe that the breed is friendly, which is not quite accurate. Golden Retrievers are friendly. Shiba Inus are aloof. In addition to being aloof, Shiba Inu's are harder to discipline and train than most other dogs. They are independent dogs and not especially eager to please their masters. So please. Please don’t be impulsive when deciding to be responsible for another animal’s life. Take the time to thoroughly research the breed and be especially on the lookout for factors that may make you realize that the Shiba Inu is not the perfect breed for you. Visit local meetups or other Shiba Inu groups to get to know the breed firsthand. There are so many wonderful dogs out there, from purebreds to pounds dogs, all looking for a wonderful human. 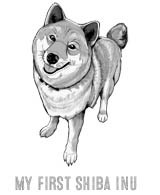 This article is in no way trying to dissuade potential dog owners from Shiba Inus. Instead, this article is intended to provide a detailed overview about this wonderful breed that is oftentimes, misunderstood. A fact that can be attributed to the breed's relative newness to the United States. I love my Shiba Inu, Kitsune, more than I ever imagine I could love a dog. She truly is more of a person rather than a dog. I adore her sometimes 'worry wart' personality that contrasts her sassy and cocky confidence. Her sensitive perception is at times, unreal. It's these human-like traits that make me love this breed so much. And just like a protective parent, I simply want to ensure that prospective parents understand and appreciate this wonderful and truly unique breed of dog. A Shiba Inu will NOT adore you the way you adore it. This is the one of the two core Shiba Inu traits that seem to apply to the majority of Shiba Inus that I have encountered. The other trait being independence. This is not to imply that the Shiba Inu does not love its master, but rather to say they won’t readily express their love like most other dogs do. In fact, Shiba Inus think about their owners a lot. They are sort of the 'worry wart' type and are always concerned about their families safety and are very protective. There are many documented stories about Shiba Inu’s and Akita’s (another ancient Japanese dog breed) that tell of their profound loyalty and courage. 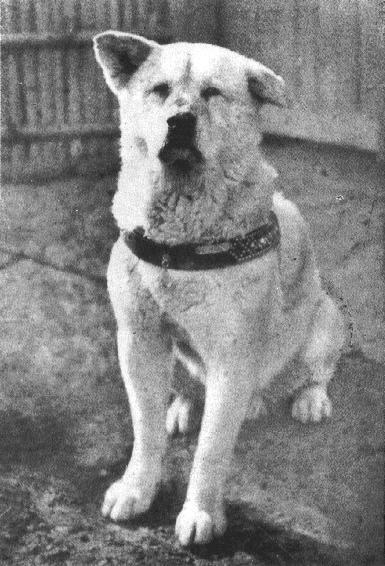 Hachiko was the famous Akita who waited for his deceased owner at the train station everyday for nine years. My favorite is the story about Mari, the Shiba Inu who cared and comforted her elderly owner who became trapped during the 2004 Chuetsu earthquake in Japan. She continuously licked him and alternately checked on him and her newborn puppies who were born on that very day. My Shiba, Kitsune, ​is a sweet, even-tempered soul. She does not need or like excessive attention but I am able to cuddle with her in bed as well as handle her as I please. She of course, will at times try to get sneak away from my clutches and her favorite method is to bring on a sneeze so loud and forceful that I am forced to laugh and let her go. Many cases of Shiba Inu abandonment are due to their unique and frequently misunderstood traits. Those unfamiliar with this unique breed might mistake the Shiba’s aloofness for the Shiba not caring about the owner, which is of course, far from the truth. So if you are an individual seeking a dog that will give you attention, recognition, and follow you around everywhere like a 'lovesick puppy dog' - a Shiba Inu is most likely not a right fit for you. Although Shiba Inu’s possess high intelligence, their strong-willed, independent personality can make training them more difficult than other breeds. So if you are looking for that dog who you will one day train to open the fridge to fetch your beverage of choice....good luck! Ideally, an owner of Shiba Inu should be an experienced dog owner who has patience and can understand and adjust to the needs of their particular Shiba Inus. Most Shiba Inu’s would do better with an owner who is confident, assertive, and even stronger willed than they are. Translation: not for the meek and soft. The Shiba Inu breed is not for someone who cannot be strict, firm, and most importantly, consistent. Any unwanted behavior must always be acknowledged and corrected. ​This is not to say that a Shiba Inu is untrainable but rather that training them takes a lot more effort than typical dog breeds. In fact, check out Ellie, this amazing Shiba Inu who seems to be the most trained Shiba Inu on this planet. She is truly an exception to the rule - likely the result of a skilled owner and chance genetics. Kitsune is pretty well trained and obedient. She actually won first place in puppy obedience class, and knows some pretty impressive tricks light turning lights on and off. However, I put a lot of work and time with her starting at early puppyhood. She was never excited to learn new tricks but rather saw it as a means to an end, in which her case was a favorite treat. Shiba Inu’s have been known to have aggression issues, the most common being dog to dog aggression and resource guarding. 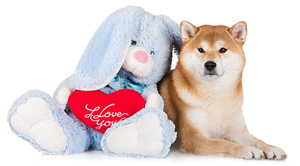 In terms of human aggression, Shiba Inus are generally not aggressive but rather stand-offish. 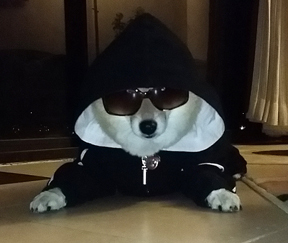 Shiba’s are instinctively cautious and generally do not warm up to people readily. I would not highly recommend a Shiba Inu to families with very young children, simply because Shiba’s don’t like excessive handling and attention. Factors that contribute to their aggression levels include breeding lineage, and improper socialization during the important phases of puppy development. 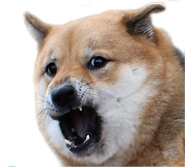 As a whole, Shiba Inu’s are not overtly aggressive dogs. Intact males and females are much more likely to show aggression tendencies over those that are fixed. Their stubborn, independent nature does tend to make them appear “moody” at times, which they actually are. 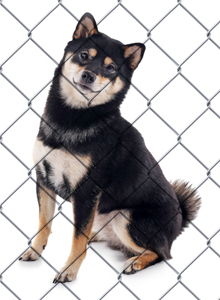 Quality Shiba Inu breeders will not breed aggressive dogs. Quality breeders will only want to produce the best specimens of the breed in terms of physical qualities as well as temperament qualities. For this very reason, it is essential to avoid backyard breeders and pet “shops”. While many backyard breeders are in it just for the money, some backyard breeders could be our friends and family who simply don’t know the consequences of their actions. Improper breeding can result in birth defects, complications, and unbalanced dogs. It is best to leave this task to dedicated breeders who are solely interested in the betterment of the breed versus any monetary gain from simply ‘popping out’ puppies. 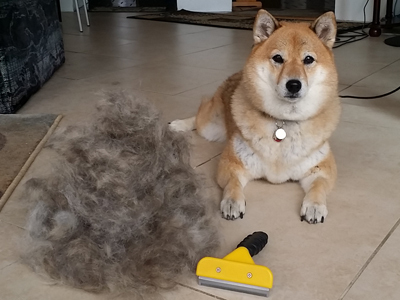 Shiba Inu’s shed heavily twice a year. And each shedding session can last up to six weeks. This means, that there will be massive amounts of fur to contend with. Fur on your clothes, fur on your furniture, fur on the floors, and even fur on your food. Just everywhere. Fur. When Shiba Inu’s are not shedding, their daily fur shedding is quite minimal and easy to manage with a good vacuuming done about once a week. During heavy shedding periods, daily vacuuming and more frequent brushing might be necessary depending on you and your families tolerance towards fur. There are no such things as hypoallergenic dogs so if you or someone in your family is allergic to dogs, it is essential that you determine how serious the allergy reactions are before deciding on getting a dog. The Shiba Inu was originally bred to flush out small game such as birds and small game. Modern Shiba Inus still possess that instinct and enjoy chasing after anything that catches their eye. This instinct, coupled with their confident and independent nature, results in a dog that has no qualms about giving chase to whatever it wants to, whether you follow or not. To minimize this tendency, it is important to provide your Shiba Inu with comprehensive obedience training and guidance starting from early puppyhood. I took my Shiba Inu, Kitsune to puppy obedience training as soon as she got all of her necessary shots, though I started training her at home at a much earlier age (around 8 weeks). The obedience lessons were really valuable for both of us and it’s how early, consistent training can be so valuable in the long term. Three of the most important command I learned at the class were: come immediately when called, heeling, and the “long” stay (3 minutes). Kitsune excelled at the course and took first place in puppy obedience beating out 20 other puppies. She excelled at the long stay, remaining in place while the other pups slowly became distracted and bored. So the time I put dedicated to training her has really made a difference in my confidence of handling her. However, her Shiba Inu’ness still shines right through and her eagerness to listen to my commands leaves a lot to be desired. You will literally hear this a billion times, “Wow, your dog looks like a fox!” Hearing people state the obvious over and over….. and over again get’s a little tiring. But, it’s a fact of owning a dog that basically looks like a fox, so eventually you get used to it. The Shiba Inu is quite the head turner as it appeals those who admire cool looking “wildish” type animals, as well as those who admire adorably cute faces. These factors will lead to you and your dog getting a lot of attention. For extroverts, that’s great. However, for introverts like myself it can be a bit of issue at times. However, my fellow introverts should just realize that it’s our Shiba that is the star and we are practically invisible.